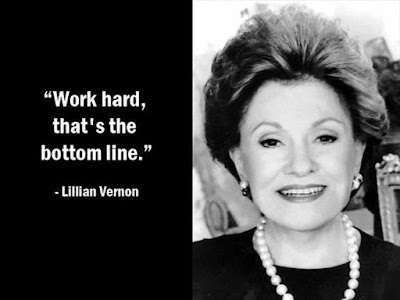 In that vein, today I want to highlight Lillian Vernon, an entrepreneur, fierce business woman, mother, and wife who started her own business from home and would eventually become one of the major players in retail. Our industrious heroine started her company, rather ironically, from her dining room table as a 24-year-old housewife pregnant with her first child. Lillian's own childhood had been tumultuous -- as a ten-year old, she and her family were forced to flee Nazi Germany and relocate to the United States with no knowledge of English or American customs. Lillian's family, who had lived luxuriously back in Germany, lost their fortune during their escape to the U.S. and were forced to settle in a poor neighborhood in New York City. Entrepreneurialism clearly ran in the family though, as Lillian's father quickly started a small leather-goods business in the city. Sadly, the company was never really a success, and when Lillian's brother refused to take over, it fell under. Of course, in the early 1950's Lillian's father never considered his daughter as a candidate to take over his job. So, craving a purpose and a steady income for her growing family, Lillian took matters into her own hands. 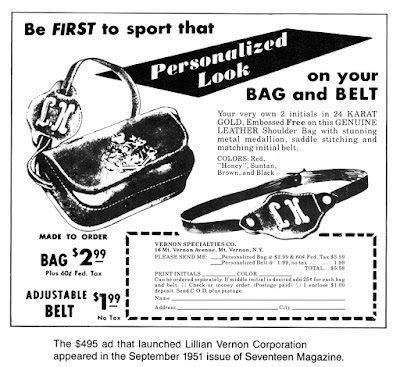 Lillian convinced her husband to loan her the $2000 they received in wedding gifts, and with that she launched her first advertisement in a 1951 issue of Seventeen Magazine. Lillian paid $495 for the ad. She made $32,000. After the tremendous success in Seventeen, Lillian designed and produced a small mail-order catalogue featuring feminine, inexpensive and customizable trinkets, sending it out to 125,000 customers as a start. 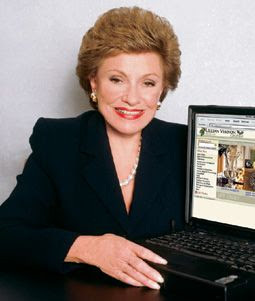 After several years of trial and error, (Lillian had absolutely no business experience), the company started to grow and eventually became so lucrative that it made history as the first company to be founded by a woman and publicly traded on the N.Y. Stock Exchange. In it's heyday, the The Lillian Vernon Corporation made revenues close to $300 million a year. Interestingly, it was during this time that the company staffed close to 96% female employees, and proudly maintained their support for working women who balanced their business and home lives. In fact, Lillian kept working from her dining room table even at the height of her company's success. What made her so successful? Lillian attributed it to her ambition, positive attitude, and an unwillingness to take no for an answer. If this American entrepreneur, fashion maven, mother and philanthropist is not a feminine feminist to admire, then I don't know who is! Who are some women you think deserve to be highlighted? Love this post. Did not know her, you made me love her! I love that you pointed out her company's most profitable years were under a 96% female staff, what a satisfying little feather in Lillian Vernon's undoubtedly fabulous hat. Wow! What an amazing woman with a truly inspiring story! Thank you so much for sharing a little about her life and her legacy. It was a very interesting post to read.